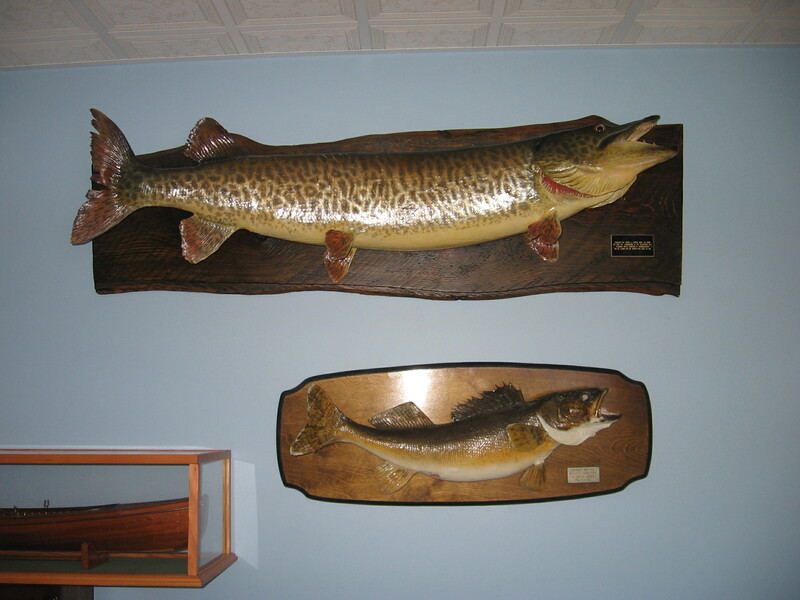 Welcome to the Thousand Island Museum’s Muskie Hall of Fame. 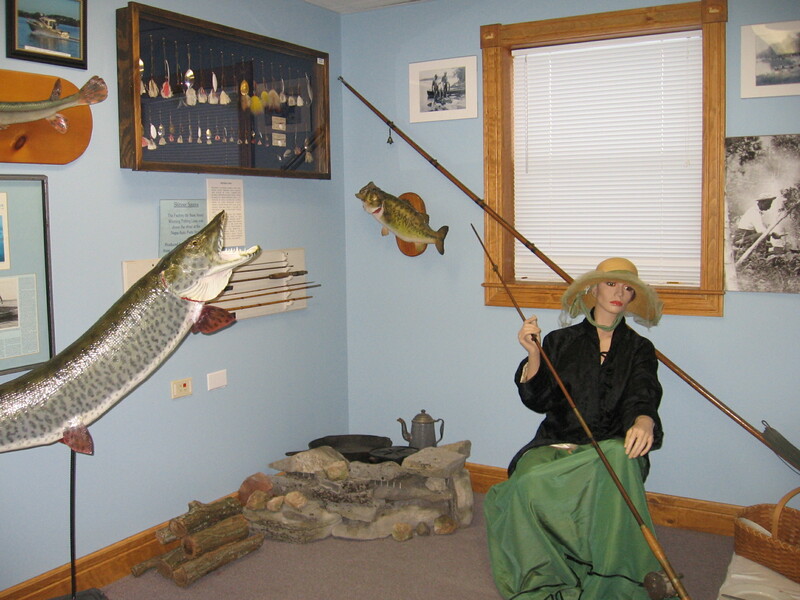 We have a wide range of displays spanning well over a century, covering the area’s earliest sport fishing of the world famous muskellunge. On display of both skin mounts as well as the more modern fiberglass mounts and turn of the century tackle used by anglers as far back as the late 1800s. Step into our shore dinner display room to view a typical Thousand Islands Shore dinner by one of many of the areas fishing guides. Also on display is an accurate representation of the world’s record muskie. Our collection of Skinner spoons and the ever popular creek chub allow you to view the time line of tackle from its earliest origins through modern day angling. Track the history of the areas muskie tournaments by viewing the many examples of the annual winters through the inception of the now popular catch and release program. Many of the areas other sports fish are also on display. Come in, walk around and enjoy our rich history.